We are a short drive to the Wahweap or Antelope Marinas, where you can rent boats, take boat tours, and dine. One of the many features within an easy drive of the Rose Walk Inn. World famous slot canyon tours. Book your tour reservations early! Located near beautiful, scenic, Lake Powell, the Rose Walk Inn bed and breakfast in Page, Arizona, offers quiet, clean and relaxing rooms at a competitive price. Our accommodations include a large room with a luxurious king-sized bed, a romantic, four-poster, “queen-sized” bedroom, as well as our largest upstairs suite which has two bedrooms, one with a king-sized bed and one a queen sized bed, foyer and private bathroom. Most rooms have a microwave oven, refrigerator/freezer, flat screen TV, cable TV and DVD player. 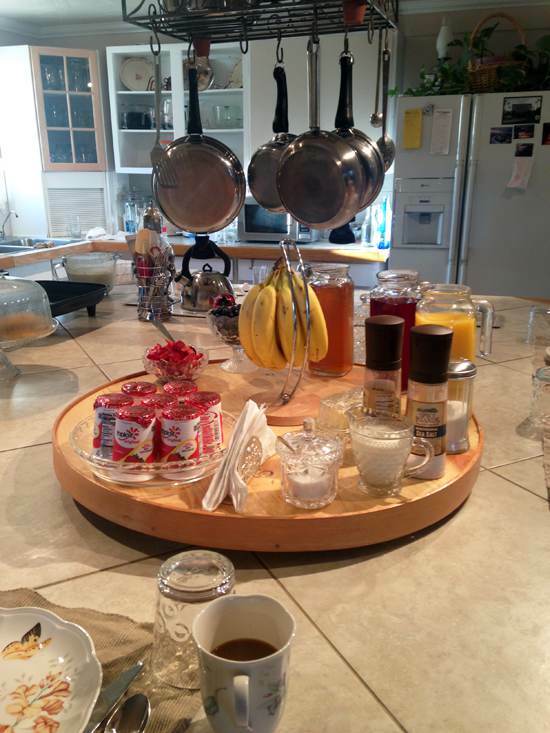 What's the best thing about a Bed & Breakfast? You guessed it! The breakfast! Our hot, homemade, signature breakfast (different each morning) is served to you every morning at your convenience and is included in the price of a night's stay. We provide vegetarian, gluten free and other variations upon request. Bringing food along with you? Want to make lunch to take with you on the lake? No problem! We can arrange the use of our gourmet kitchen, outside barbecue and more! Just let us know in advance. We love to help guests prepare for their trip to Page, so please feel free to ask us about hiking, fishing, horseback rides, scenic flights and swimming in the areas. Let us help you make the most of your time in the area and maximize your experience by helping you avoid the common mistakes, no matter the size of your budget. Guided tours to sandstone slot canyons.